2010 June | Thanks a Glatt! New York City to start grading restaurants like Los Angeles! Did you hear that Kosher world? 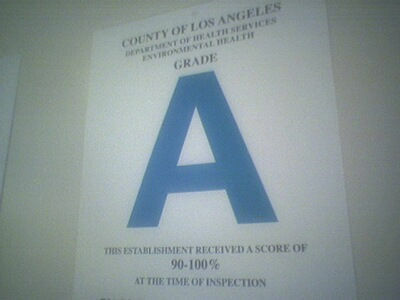 New York City has announced today that they will begin grading restaurants similar to how they do it in Los Angeles. Restaurants with 0 to 13 “violation points” will receive an A. Scores of 14 to 27 points are a B, and 28 or more results in a C. The Department hopes the new rating system will save time. Restaurants with A grades will be inspected yearly, while those with Bs will be every 5 to 7 months and those with Cs every 3 to 5 months. Restaurants can appeal grades, too, and receive a “Grade Pending” sign to post in lieu of the contested letter until a re-inspection is conducted one month later. They expect most restaurants to receive a B but we think the average will be much lower in the Kosher world. Numerous restaurants have been shut down before because of rats cleanliness, hopefully this will cause them to clean up their act! Or at least hide things under the counters better! How do you think this will effect the industry? Do you know of any restaurants that deserve an F? Follow your favorite Kosher restaurants on Twitter! Love to tweet? Love to eat? So do we! 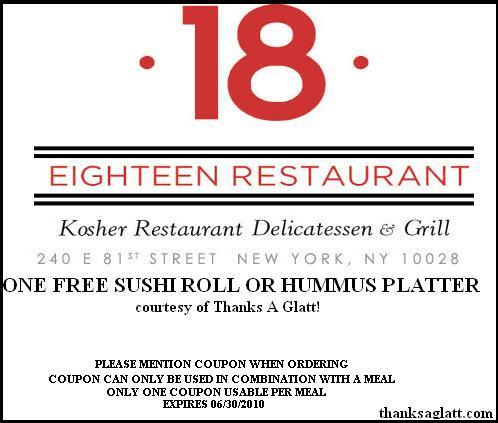 To help you find your favorite kosher restaurants (it’s a great way to find deals!) we have compiled a list of all the kosher restaurants on Twitter! If you know of any I am missing drop us a comment and I will add them. PS. 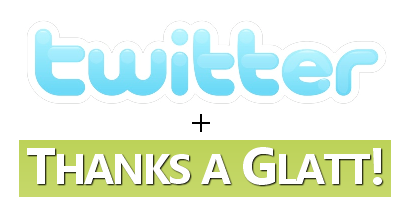 Add us on twitter while you are at it @thanksaglatt! 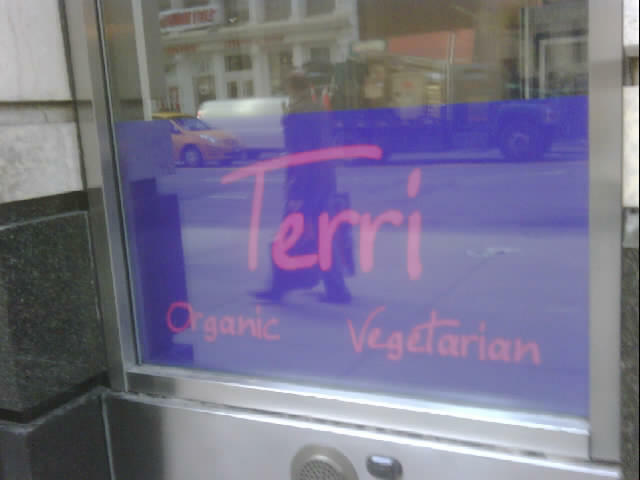 Tiberias dairy restaurant now open in midtown! 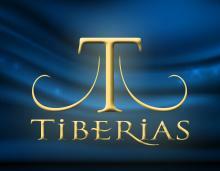 Thanks a Glatt is proud to announce a new Cholov Yisrael restaurant named Tiberias is now opened up in midtown! Finally a dairy restaurant (other than Dunkin Donuts) in the YU area! They will offer a range of salads, juice, pasta, toast and other dilectable items. The best news about this place? It is also open 24 hours a day (other than Shabbat of course). We look forward to going here! PopBar at 5 Carmine Street and 6th Avenue is now confirmed Kosher under the supervision of Rabbi Aaron D. Mehlman. The hottest (or is it coldest?) 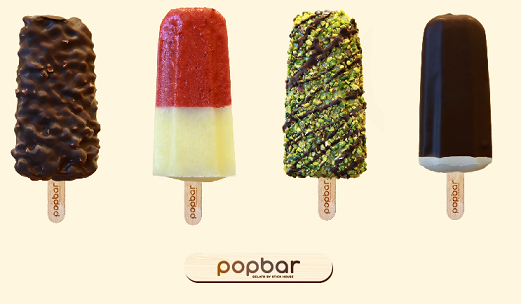 desert to hit the NY scene since Pinkberry PopBar makes everything fresh daily – all natural. It comes in a variety of flavors and topings via Gelato, Sorbet and Yogurt as the base. It is also 100% gluten free! Create your own if you dare. On Memorial Day we made the unfortunate decision to go to Coney Island to celebrate. As good as it was for our egos (we were better than everyone there) unfortunately the overall taste that it left with us was sour. 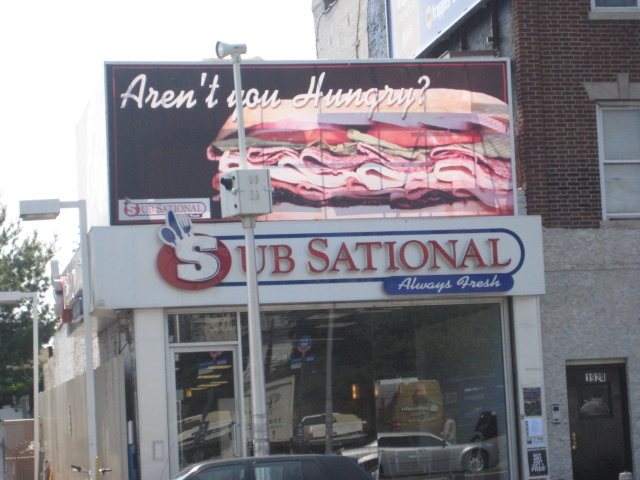 We decided to cleanse that taste with the offerings of Subsational in Brooklyn. If you haven’t been here in over a year then you would be in for a surprise as they have done a total renovation on the place. They also made some adjustments to the menu. We assume this was because of the entrance of Carlos and Gabby’s to the market – which has forced most Kosher restaurants to start acting like real restaurants. My constant at a hamburger shop is the Pastrami burger, so naturally I ordered it. I also ordered the buffalo wings chicken fingers. 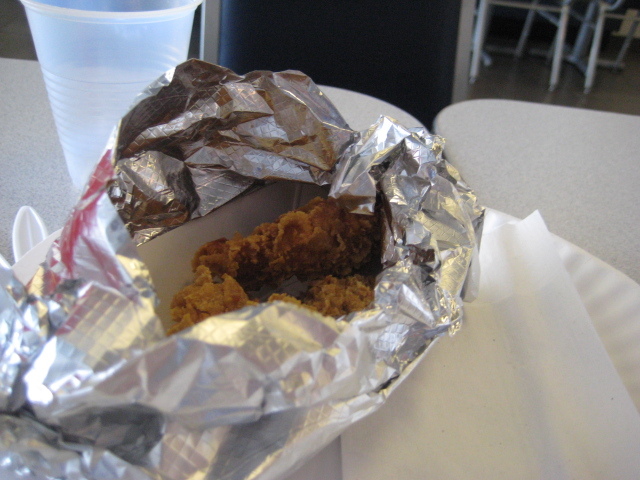 One look at the buffalo wings and we returned them. The chickens must have been starved and anorexic because there was no sign of any kind of hormones – they were little and looked unapetizing. We went to return these with the manager. Naturally, he put up a fight “sorry, you should know what you are ordering” but after a few of my “can’t you think outside of the box?” and “don’t you guys know how to do customer service” and a “you are going to lose a customer” he quickly realized it was time to offer us a replacement item. Enter the chicken fingers. They were good considering they were made exactly how C&G’s does theirs with corn flakes. Maybe they all come from the distributor like this? Does anyone know? 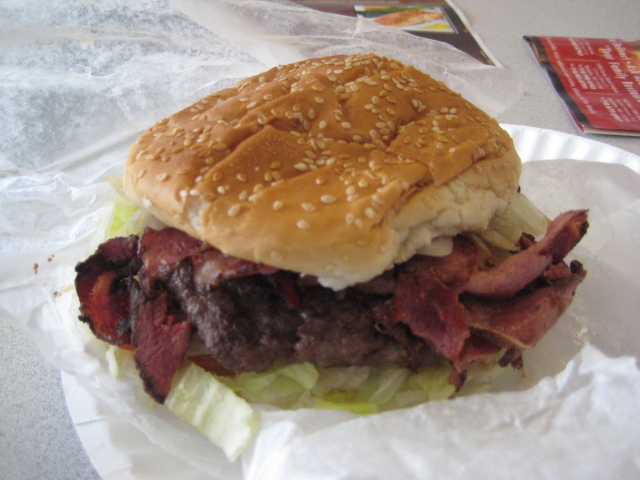 Now it was time for the main event – the pastrami burger. Although the meat quality was bad the pastrami on top creates the most amazing/juicy flavor. 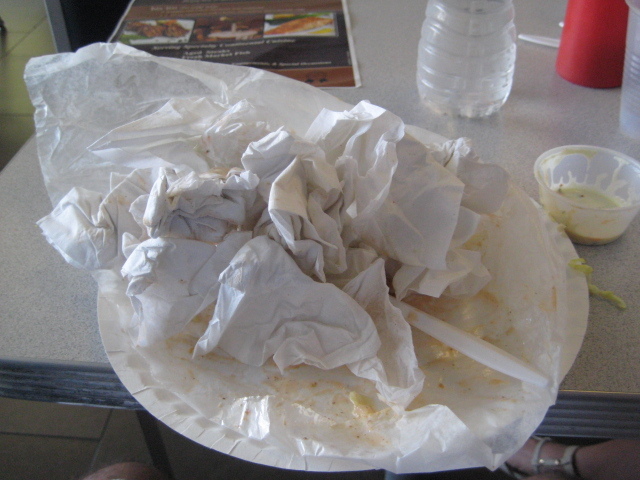 It was quite messy (it fell apart by the end, see how many napkins I used below), it was tasty and I would def recommend it if you want a good old fashioned not good for you good tasting hamburger. We got the spicy fries as a side, quite expensive for $4.99 (how does Mcdonalds sell fries for 99 cents??) But they were on par. We didn’t order anything from the Mexican side of their menu but will definitely have a fiesta the next time we eat there. If u want a guaranteed fast food meal with a solid taste, I would definitely recommend checking out Subsational. UPDATED: I had had originally given them 4 stars but meant to give them three, thanks Steven! Here are the remaining deals this week at Bagels & Co. on the Upper West Side! 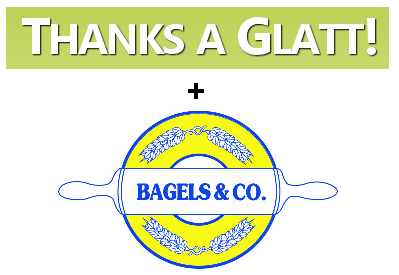 Enter our giveaway to win $25 in gift certificates to Bagels & Co!